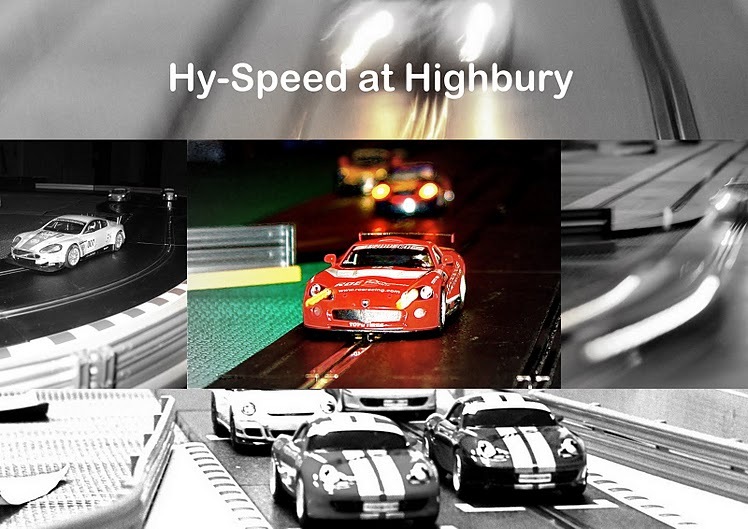 Hy-Speed is a Scalextric digital slot-car racing club with various meetings being held throughout the year. Family meetings are usually held on the Second Saturday of the month. The first session (6.30pm to 8pm) is for children age 7+ and accompanied by an adult. The second session (8.30pm to 10pm) is for adults, and children age 11+ when accompanied by an adult. There are also occasional special Saturday mornings events (plus cafe). All race meetings are held in the hall at the back of Highbury Congregational church (with plenty of space to park your real cars in the church car park). Session 1: 6.30pm to 8pm, for children age 7+ accompanied by an adult, (age 18+). £5 per family (covering both sessions if applicable). 3pm to 5pm for all the family and all ages. There is no charge for racing and the cafe will be open throughout the event. Other activities and displays will be in the church.